Sometimes protecting your torso and your core is not enough. 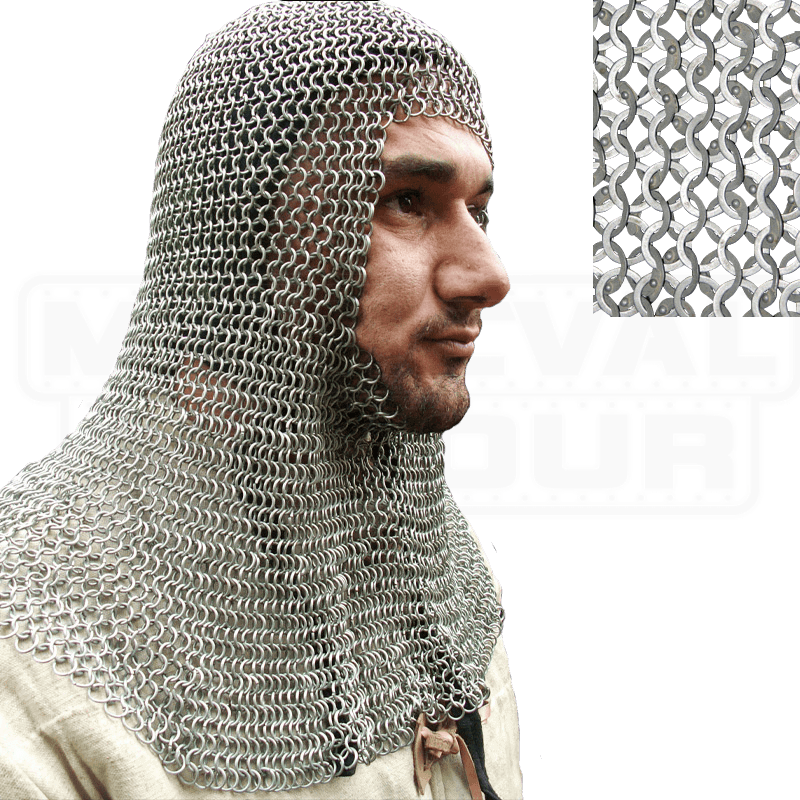 Sometimes, you need to keep your head, neck, and collar safe, too, and for those times, turn to this Full Mantle Chainmail Coif to keep your head perfectly safe and sound against harm. As its name implies, this chainmail coif features a full sized mantle, which means that when worn, the chainmail spreads out along the collar, providing an added measure of protection when the coif is worn. Otherwise, the coif also features a square face opening, so that the wearer does not wind up with chainmail obscuring their vision or face (which could be uncomfortable or inconvenient). This coif is fully functional, having been crafted from 9mm diameter rings that are made from mild steel and set in a pattern of alternating flat and round rings. The effect of this pattern is that the mail coif is exceptionally strong and sturdy, providing a high degree of protection to whoever wears it. The mail coif also features a natural finish, which only enhances its look as a medieval piece of armor. 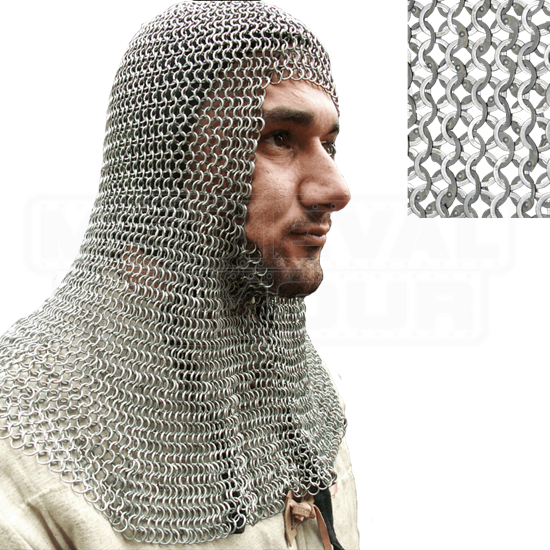 Pair this Full Mantle Chainmail Coif with a suit of matching mail and you will be all set when it comes to totally protection at your next reenactment. Plus, you will look pretty darn authentic in your mail too, and while secondary to protection, that is still a pretty big accomplishment, too.